Works great. No issues. Would love if possible to see star ratings next to the controls for those of us that sill love star ratings. Thanks. 1. The next/previous track buttons cannot be optionally removed. They're extremely annoying because I often hit them by mistake when trying to play/pause, which is nontrivally irritating when listening to long tracks (sets of hours' length) and losing my place. 2. For unclear reasons, the album artwork doesn't always show up. it does the job really good. thanks to the dev. Thanks for adding missing functionality to iTunes. 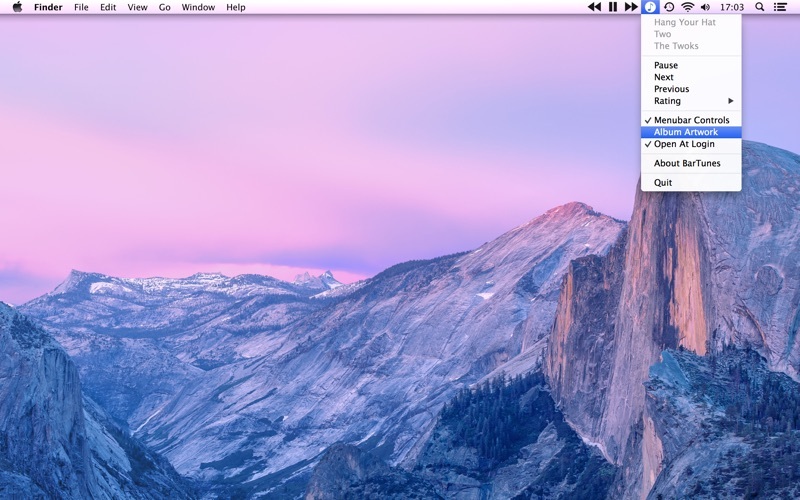 Now I can control iTunes from any desktop quickly and easily without disrupting my workflow. Thank you for this super helpful menu bar app! I really use it all the time. 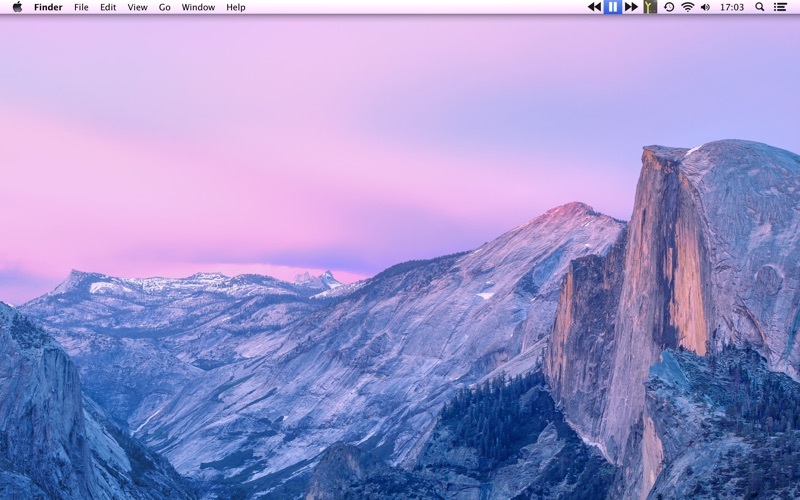 Especially love seeing the album icon in the menu bar. Great stuff! Suggestion -- it would be convenient if you could open the album in itunes from the menu bar. Love it–just what you need and nothing more. I find it especially useful when using other applications and not wanting to go back to iTunes. For example, listening to music or transcribing an audio file into a word processor. Again, THANK YOU!!! The app seems to work in MacOS 10.13 and iTunes 12.7, and yes, it puts some basic iTunes controls in the menu bar, and the controls work. I just don’t think the app is well thought out, and its not designed very well either. The app has two items in the menu bar if you want the controls in the menu bar too. There does not need to be two items in the menu bar, its a waste of precious menu bar real estate. I’m going to uninstall. Great little app for controlling iTunes. I started out only using the play/pause, next, and back buttons but have also gotten used to having the additional controls just a click away in the menu bar. Well done! YouControl Tunes has major licensing issues since its "company" doesn't exist anymore and I'm tired of figuring out how to fix it everytime I update anything. This kinda does the same thing. It has no ticker for the song name or customizeable icons though. It does display the album cover art inline which is neat. This actually crashes MORE than YouControl Tunes did in El Capitan though haha.